Jersey City police conducting Arrested a felon on multiple heroin and cocaine related charges while conducting surveillance at Martin Luther King Drive and Dwight Street on April 19. JERSEY CITY — Police arrested a felon on multiple heroin- and cocaine-related charges after conducting surveillance at Martin Luther King Drive and Dwight Street on April 19. Jonathan L. Hickson, 29, of Armstrong Avenue near Garfield Avenue, is charged with possession of 55 bags of marijuana and 13 vials of cocaine, the criminal complaint says. Included in the charges against Hickson are two counts each of possession with intent to distribute within 1,000 feet of School 15, located at 135 Stegman St., and within 500 feet of the Mary McLeod Bethune Center, located at 140 MLK, the complaint says. Officers stopped Hickson after seeing him conduct an apparent drug deal and found seven bags of heroin on him. After transporting him to the Street Crimes Unit headquarters, a bag containing the balance of alleged drug was found in the back seat of the police car, the complaint says. Hickson was in state prison from March 26, 2015 to June 11, 2017 for drug possession and possession of a weapon for an unlawful purpose, state corrections records say. In 2013 he was involved in an incident in which he claimed to be the victim in a gunfight, but was later charged as a participant when hospital staff found no gunshot wounds. 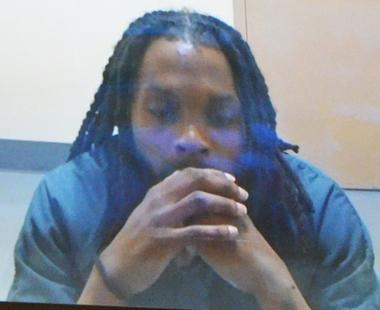 He made his first appearance on the new charges on Friday in Criminal Justice Reform Court in Jersey City via video link from Hudson County jail in Kearny. At the hearing, the state moved to detain Hickson through the course of his prosecution.